Hi everyone! It’s Melanie again from Find it, Make it, Love it. Last week I got to share some quick envelope pillows I made for my girls bedroom. 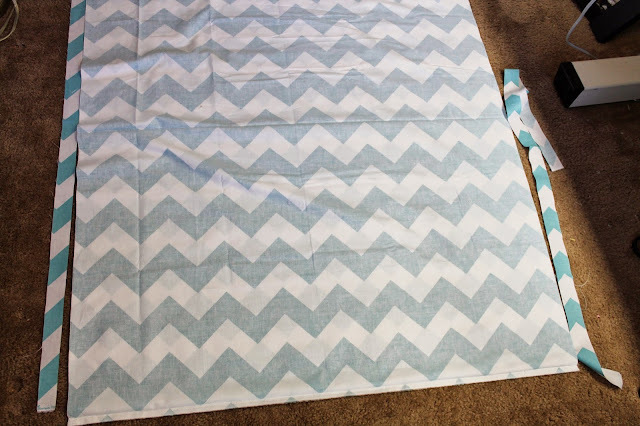 Today I’m excited to share the curtains I made to go with them! I chose this fabulous Chevron fabric. It’s Riley Blake Designs Chevron Large Aqua found at the Ribbon Retreat of course! I love it!! 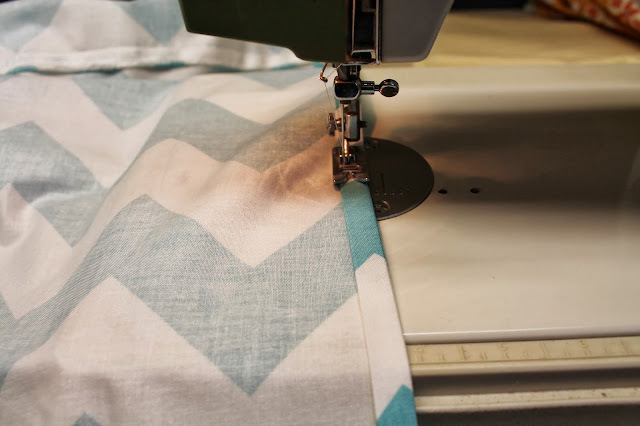 This fabric pattern runs horizontal with the selvage, so for the Chevron pattern to run horizontally as curtains, you’ll need to cut the fabric in half; then sew the two pieces together. 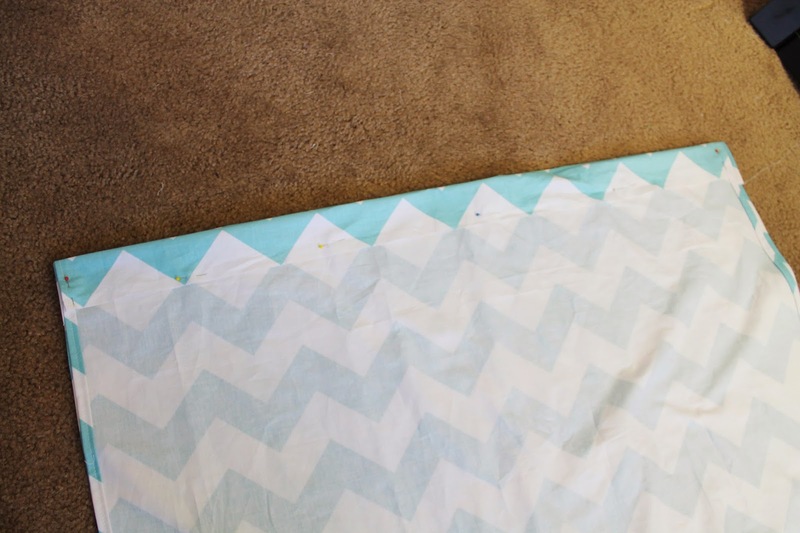 Lay the pieces right sides together making sure the chevron pattern matches up just right. There will be some overhang on each side because of how the pattern matches up. Pin together. 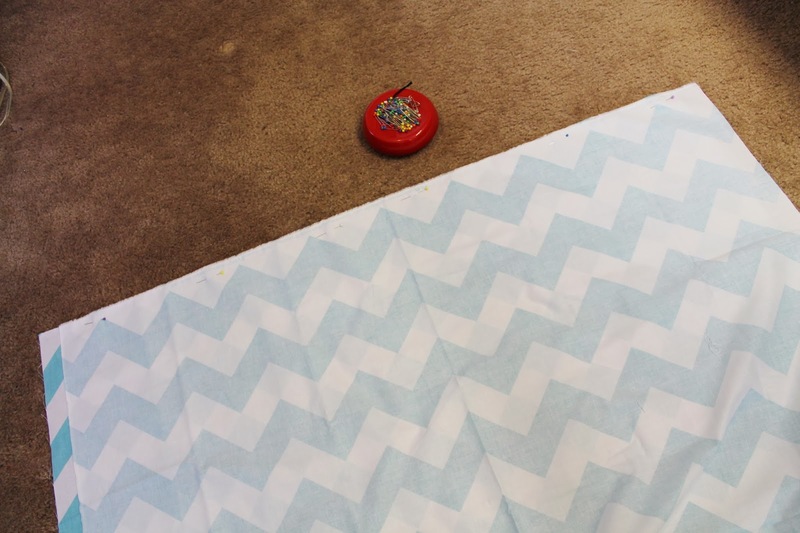 Sew, and iron the seam down. Once the two pieces are sewn, trim the overhang on each side. Iron and hem the edges. 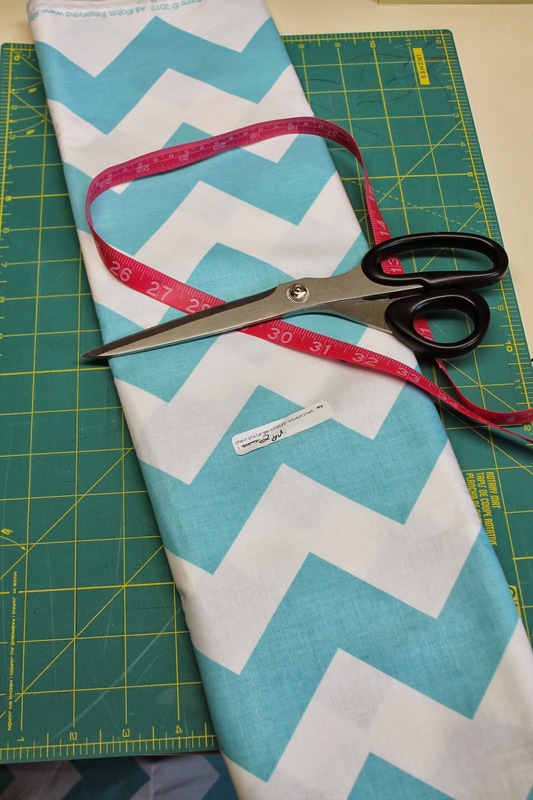 For the curtain rod pocket simply fold down the top 3-4 inches and sew, creating a pocket. Repeat for the other panel. Iron them nice and smooth, and they are ready to hang! Curtains make such a difference! They have really brightened up my girl’s room and added some fun color and personality. With the pillows and the curtains, we have a fabulous room makeover in an afternoon’s work! Thank you so much Melanie for sharing your incredible talent with us today! 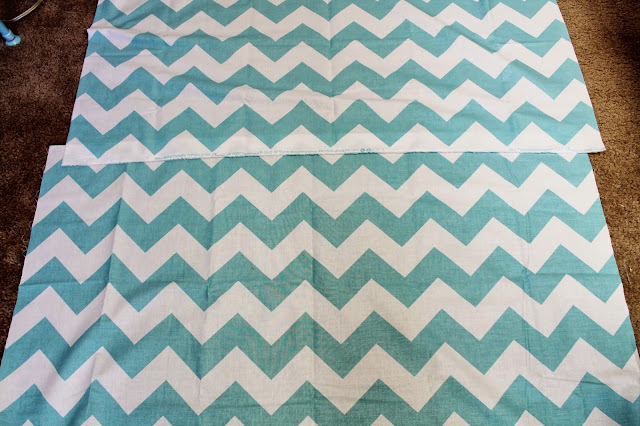 These curtains are brilliant and add so much excitement and color to your girl’s bedroom. I love how, in just, an afternoon you created a whole new look in their bedroom. For more FABulous projects by Melanie, visit her adorable blog at Find it, Make it, Love it where you will find fun and innovative crafts for every level of craftiness. They have the cutest and spoooookiest Halloween projects featured on their blog right now that your kiddos and your home are sure to love! 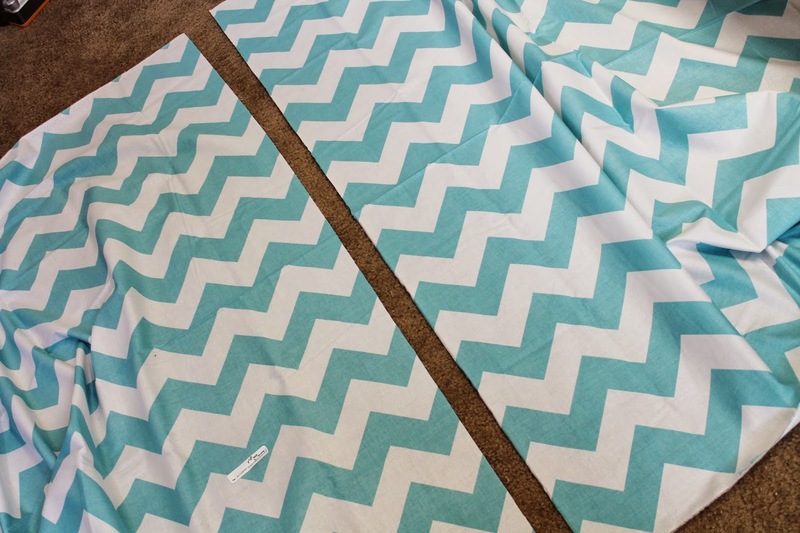 What is your favorite Chevron color to use in your home decor and other crafty projects? Happy Creating & Happy Curtains! 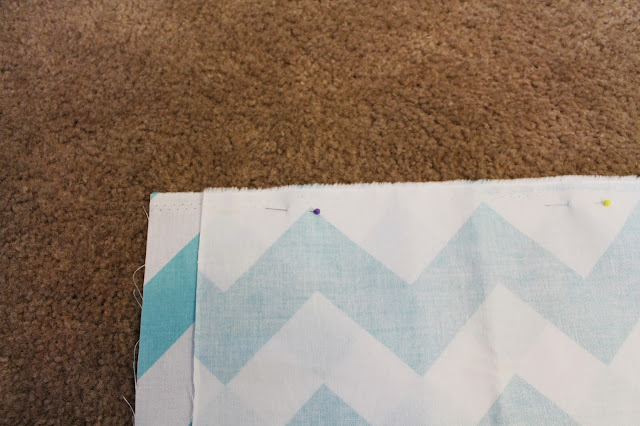 Thanks for giving me idea about cutting and sewing of curtains.I am going to try it.